Click here to sign up for updates about Home School Foundation’s involvement in Indiana. Make a donation that helps INDIANA homeschool families here. The Home School Foundation (HSF) is a nationwide organization whose mission is to bless homeschool families during a time of crisis and to further the cause of home education. HSF is the charitable arm of the Home School Legal Defense Association (HSLDA) and was founded in 1994 as a non-profit 501(c)(3). These two organizations are very closely tied in their mission to help and support the homeschool community. HSF offers assistance to homeschooling families with specific needs … widows, single parents, special needs, military families, curriculum relief, disaster relief, and more. Pray for the work of the HSF and that the Lord will bring together homeschooling families in a significant way so that no substantial need or situation of crisis goes unaddressed. Take a look at this national summary of what the supporters of HSF accomplished in 2012. Consider serving as a Community Ambassador in your homeschool support group or community. Many families are not even aware of the resources that HSF had to offer. So, if you are part of a homeschool support group, please consider serving as the contact who will regularly coordinate prayer and identify needs within your group of families. Community Ambassadors assist with service projects to help families and will share substantial needs with their state ambassador for consideration from the Indiana state fund. They also direct families to the application process when appropriate to apply for help through one of several HSF funding sources. Our goal is to have a Community Ambassador designated from each local homeschool support group in Indiana! Click the logo below to become a Community Ambassador. Organize a fundraiser for a homeschooling family in need. With our support, Community Ambassadors in our state are encouraged to recruit event-specific Service Ambassadors who will work with them to organize at least one fundraising event a year to help replenish HSF funds earmarked to help families in Indiana who continue to homeschool during hard times. Be creative! There are many different ways to raise funds on behalf of the HSF that your homeschool support group families can rally around as an annual service project. Offer specific service or trade skills to a homeschooling family in need. When a crisis or disaster hits, homeschooling families often find it difficult to continue funding their homeschooling efforts because of sudden and uncontrollable expenses. Sometimes having extra hands come in and help with home repairs, painting, yard clean-up, plumbing needs, moving services, child care, or even professional services can be a huge help to the family. What talents or skills do you have that you are able to offer to a homeschooling family in need in your area? Just being willing and available is a huge blessing! As we are building a base of Community Ambassadors in Indiana, please contact me directly about your specific skills offerings so I can put you in touch with the right contact. • Donate here to the Indiana State Ambassador fund to help Indiana homeschoolers. Consider making a cash donation to HSF. Just as important as praying for opportunities and helping families through a time of crisis is funding the work of HSF. HSF maintains several different funds including contributions that go to organizations that support home education in various ways. It is truly a “one-stop-shop” for putting your money to work in a variety of ways that have eternal consequences and express timely compassion to those within the homeschool community. Furthermore, if you donate to HSF and write “Indiana” on the memo line of your check, those funds will be specifically earmarked to help an Indiana homeschooling family in need. Use the attached form for this purpose. Or, you may process your donation online at the HSF website (www.homeschoolfoundation.org > Give Help >Give) selecting “Ambassador” for the fund and “Indiana” for the state at this link: On-line donation. All donations are fully tax deductible. Donations are fully tax deductible. Give an HSLDA membership scholarship to another family. 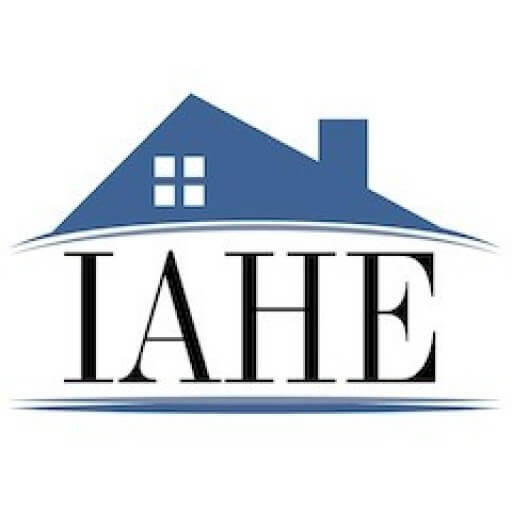 Even though the best support system includes membership in a local support group, involvement in the state-wide work of IAHE (Indiana Association of Home Educators), and a national support organization like HSLDA (Home School Legal Defense Association), many times families cannot afford to do all three. For this reason, the HSF offers the Members Helping Members Fund so that families in need can apply for a partial or full scholarship towards the annual membership fee. Utilize “Clicks” for homeschooling when purchasing various every day products and services that you are going to purchase anyway! Become familiar with the participating product and service providers and add the link to your computer for easy shopping. All proceeds from purchases made through this link go directly to support the HSF’s largest fund that helps homeschoolers across the country — The Compassion Fund.